Have you ever found yourself struggling to recollect a particular word or the name of a specific person? You know that you know it, but you can’t find the word, so to speak? The word is on the tip of your tongue. This tip of the tongue phenomenon is quite common. You might be attempting to recall the name of a famous actor, you know, she played Pepper Potts in Iron Man and was married to Chris Martin from Coldplay before their conscious uncoupling. You know all these things about her but just can’t recall her name. The term tip of the tongue phenomenon (or TOT) first entered the research literature in a 1966 paper by Roger Brown and David McNeill. They suggested that people tend to know what they do know and know what they don’t (not a particularly startling revelation in itself) but that sometimes we know we know something but can’t remember it – it has been registered, it has been encoded and stored, but we just can’t access it. Brown and McNeill also found that those who found themselves in the irritating TOT state could often give the first letter of the word, say how many syllables it had and even give words with a similar meaning or sound. One explanation for this phenomenon relates to our use of cues to help us recall information. Cue theory posits that the more cues available to us, the greater the chances that we will successfully recall the information. This certainly has implication for teaching and learning and I suspect all teachers have experienced a moment when a student is convinced they know the answer to a question, but simply can access it. We call this failure cue-dependent forgetting because cue’s can act as gentle nudges to release the information we need. This is why rote-rehearsal in the absence of elaboration can often result in access problems. What do we mean by cues? If we use a rather crude example of a filing cabinet filled with files, we can think of the labels on each file as a cue. Cues, therefore, might relate to the category of the item, but it might also include environmental and personal factors. In a classic study conducted in 1966, Endel Tulving and Zena Pearlstone gave participants a written list of 48 words to learn, organised into 12 categories of 4 words each. In one condition the words were given a category label, such as animals or fruit and volunteers were told that they would be tested on their recall of the words but not the category labels. In a second condition, only the list of words was presented without the category label. Perhaps the memory had just decayed and the cues were irrelevant? To address this possibility, Tulving (1968) presented participants with, yet again, a list of words before asking them to write down as many as they could in any order (a technique known as free recall). Later, and without having seen the list again or the previous answers, participants were asked to recall them. This was then repeated a third time. Some of the participants recalled a word on the third trial but failed to recall it on trails one and two; decay theory wouldn’t have predicted this because a memory trace can’t decay and then be miraculously reinstated. Retrieval failure, on the other hand, can offer a plausible explanation by arguing that different retrieval cues were involved in the three trials. According to the theory of cued forgetting, therefore, certain factors that were present at the time of memory encoding (when the memory was stored in the long-term system) became aids to recall later on. In one of the more unusual studies into a cue-dependent recall, Godden and Baddeley (1975) asked divers to learn a list of words while on dry land or underwater. When asked to recall the word list, those divers who learned the words underwater were more successful if they recalled the words underwater. The same was true with those who learned and recalled the words on dry land. Of course, all the participants were skilled divers so this fact might have played a role in their ability to recall the information underwater. The study also lacks ecological validity, that is, it’s not a task we are likely to be asked to carry out beyond the experimental setting. This particular phenomenon is known as context-dependent failure, that is, if there is a mismatch between the environment in which the material is learned (encoded) and that experienced during recall, our ability to remember the information is reduced. In other words, the place becomes a cue for retrieval. Taking context-dependent forgetting into account, this would mean that material learned in a specific classroom with a specific teacher would stand a higher chance of being recalled in the same classroom and in the presence of the same teacher. Indeed, this is exactly what Abernathy (1940) discovered. A more curious phenomenon occurs in the case of state-dependent forgetting. Donald Overton (1972) asked participants to learn material when they were either drunk or sober. The drunk participants found it difficult to recall the material when sober, but easier when drunk. The same was true with the sober participants. In another study, Charles Darley (Darley et al., 1973) had participants hide money while they were high on marijuana and found that they found it easier to locate the cash when they were again high, but not when they weren’t. Of course, we must be mindful of the ethics of such studies and whether it’s appropriate to get people stoned or drunk in order to test a hypothesis. We also have to bear in mind that the majority of these studies are laboratory-based, taking place in a highly controlled and artificial environment. They also involve tasks that are unlikely to occur in the real world. We can, however, begin to understand a little more about the role of cues in remembering and forgetting by turning our attention to forensic (or criminal) psychology. Work into the effectiveness of eyewitness testimony has benefited from the work of memory researchers, most notably studies carried out by Elizabeth Loftus and her team in the United States. Research has, over the years, confirmed that eyewitness testimony is highly unreliable because not only are long-term memories continually reconstructed, they are also highly susceptible to false information and so-called leading questions. In order to circumvent such problems and to try and increase accurate recall, Ronald Fisher and R. Edward Geiselman developed what has become known as the Cognitive Interview. One of the principal theories on which the Cognitive Interview is based is Tulving’s notion that there exist several retrieval paths to each memory, that is, each memory is cued and the more cues that are available, the greater the likelihood that recall will be successful. The Cognitive Interview comprises a number of components, such as report everything, no matter how trivial it might seem and alter the chronological order of the witnessed event. The most powerful of these components is what has become known as mental reinstatement of context, from what was seen and heard by the witness, to what was felt emotionally. The basic premise is that when we experience an event, what we see represents only a single cue and, therefore, provides only a single access point to that memory. But sounds also cue memories, like that song from your youth that reminds you of specific life event and can lead to a deep and lingering emotional response. Smells can elicit the same response, as can emotions, both positive and negative. Indeed, we are more likely to recall memories if they are linked to positive or negative emotional states, but not neutral states. This suggests that the notion of repressed memories (or motivated forgetting), the popular fodder of many psychological thrillers, is a highly problematic concept because we tend not to forget traumatic events. The Cognitive Interview encourages witnesses to elaborate on what they witnessed, to access multiple modalities and, therefore, multiple cues. These memories can still be inaccurate (most, if not all, memories are) but the Cognitive Interview has been found to produce more detailed and accurate descriptions than the standard police interview. 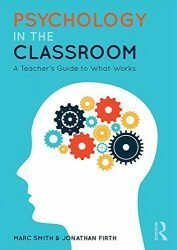 Can we, as teachers, therefore, enhance the process beyond rote learning to a more reliable, accurate and more easily accessible long-term memory that reduces the chances of cue-dependent forgetting? I’ve written previously about the different depths of memory processing, from simple recognition to more elaborated processing that involves meaning and linking concepts to each other. This levels of processing theory fits comfortably with cue-dependent theory as it suggests that processing is deeper if there a more cues, that is, the to-be-learned information involves elaboration. Cue-dependent retrieval also plays well with our basic human tendency to place items into groups and give them category labels; from fiction genres to music, we like to know what separates thrillers from horrors or heavy metal from folk. I suspect that if I asked you to name four heavy metal bands you would be able to have a pretty good stab at it, even though you may not like this particular genre of music. Be aware, however, that like any theory, there are important caveats. Categorising information can lead to the incorrect inclusion of some items. For example, we might recall mango in the list of fruit, not because it was included, but because we assumed it was. There are many ways we can increase the number of cues and enhance our ability to recall information. Here are just a few. Chunk information into smaller pieces, perhaps through sub-categorisation (see fig. 2). fig.2. Example from an A-level Psychology specification. Studies can be categorised by main topic (memory) or sub-divided into specific sections. Include a combination of auditory and visual information (e.g. diagrams, charts and pictures), as can be seen in fig.3. fig.3. Components of working memory are paired with visual cues, creating more pathways to the learned information. Relate information to personal experience. Autobiographical memories (memories about the events of our lives) are very resilient so linking the information to a personal event can enhance recall (this is known as the self-reference effect). Experiment with certain memory techniques, such as the method of loci. Ensure that errors in understanding are fully explained and corrected; often we will encode the incorrect information even when we know it’s wrong.